He has been consistently linked with a move away from I Giallorosso in recent months, however, with ​West Ham, Inter and Everton all reportedly keen on signing the Bosnian international this summer. 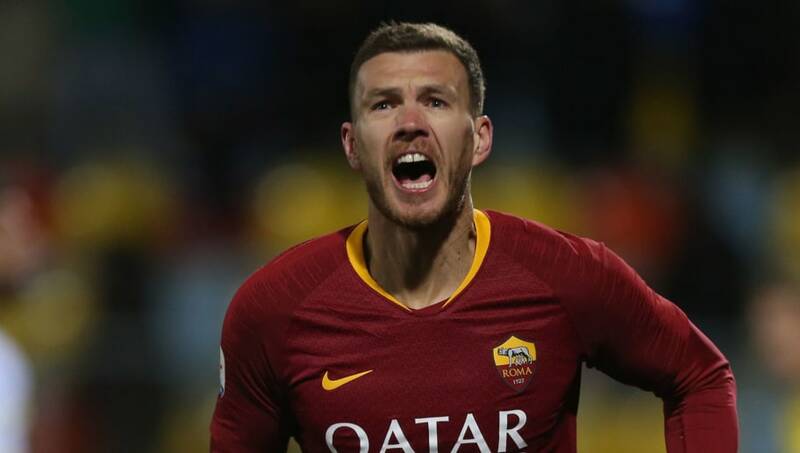 It's now claimed by Italian outlet ​TuttoMercatoWeb that Newcastle are also interested in bringing Džeko back to England. His contract with the Serie A heavyweights is due to expire next summer and it's understood that Roma are prepared to cash in on him this summer after a spate of disciplinary issues this season. He was handed a two-match ban in February following an altercation with referee Gianluca Manganiello, which occurred during Roma's humiliating 7-1 defeat to Fiorentina, where Džeko appeared to spit in the direction of the match official after delivering a barrage of verbal insults. That allegation was never proved, but his actions resulted in widespread condemnation within the football community - with his reputation diminished even further by allegations of diving in early March. Those indiscretions don't appear to have perturbed a number of potential suitors, though, and Newcastle's reported interest adds them to the list of a growing number of interested Premier League parties. ​The Magpies are yet to tie up a permanent deal for on-loan striker Salomon Rondon, leaving Ayoze Perez and Yoshinori Muto, who has only notched 467 Premier League minutes up since arriving last summer, as recognised first-team strikers at the club. Competition from West Ham and Everton, though, as well as Inter, means it could prove tricky to conclude a hassle free deal - though they ultimately may not need to pursue him should Rondon join permanently this summer.